is a Managing Partner at Steinbach & Partner India. Mr Rao studied English Literature at the University of Bombay and graduated with a bachelor of arts in 1976. Over the course of the next eight years, he represented companies such as Olivetti and Dictaphone in the Indian market and worked as a self-employed real estate agent for commercial properties in Bombay from 1984 to 1987. 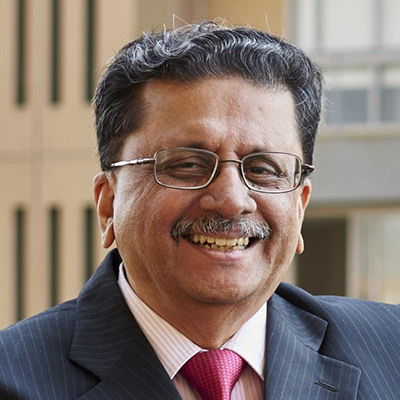 For the next five years, Mr Rao headed the company ARGOSY PACKAGERS, whose 150 employees bottled cleaning agents and detergents for the Indian market. After its takeover by Procter & Gamble, Mr Rao found a new professional challenge as an executive search consultant. Since then, Mr Rao has overseen more than 500 assignments in the Indian market and has specialised in the automotive, mechanical engineering, healthcare and IT industries. Mr Rao has worked for Steinbach & Partner since 2012 . He speaks English, Hindi and Konkani.